I had a Lenovo IdeaPad 320...decent configuration — 4GB RAM, 1TB hard drive, 2.4 GHz Intel Core i3 processor. No problem handling most basic tasks such as web surfing, sending/receiving emails, and running desktop office applications. But, as time went on. Things started to change. It ran slowly and had more lags. Worse yet, the laptop froze now and then. Have you ever been there? There's nothing more frustrating than a sluggish PC, especially when you need your Lenovo laptop to get the work done as fast as possible. Why is my Lenovo laptop so slow? That was the question I asked myself many times too. Well, no one (even a computer technician) can give a certain answer to that. Because the possible reasons behind a slow laptop can vary from case to case. However, there are some common "culprits" as I dig into the issue. That's what this article is dedicated to — helping you figure out the reasons why, and most importantly find the "fixes" to make your slow Lenovo faster, again! If your Lenovo is new and it's slow, chances are those "bloatware" (programs pre-installed with Windows 10 on your computer) have got you. I still remember that my Ideapad 320 doesn't come with many software, but has some junk programs that auto start up on their own...a little annoying! Fortunately, those pre-loaded apps and auto-runs can be uninstalled fairly easy. For example, if your Lenovo is with the latest Windows 10, just select the Start button > Settings > Apps. Then choose the program you want to remove, and then select Uninstall. Alternatively, you can use CleanMyPC the easier way. It allows you to uninstall programs in batch, time-saving! Also, CleanMyPC can disable those auto-runs that are difficult to remove manually. Malware, short for malicious software, can bog down the performance of any computer when infected. Those malware are usually sneaky and hide in the background. When you start up your laptop, they run and consume lots of system resources and may cause other problems. For example, when you browse the Internet and you see annoying auto popups flying around, most likely they've got you. 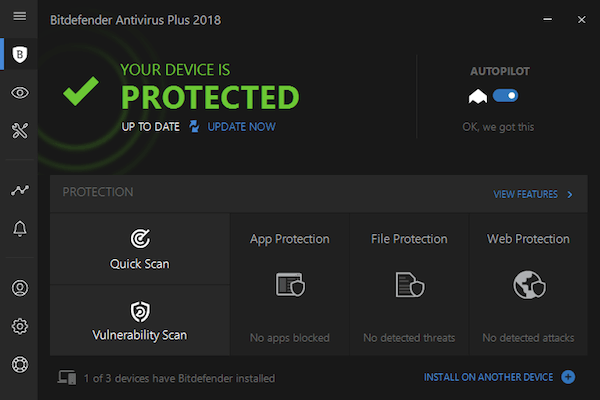 To see whether your Lenovo laptop is malware-free, the best way is to run a malware scan with Bitdefender Antivirus Plus, one of the best security software in 2018. If you are using an old Lenovo, it's probably loaded with a mechanical hard disk drive (HDD). For newer high-end Lenovo laptop, chances are it's with a speedy solid state drive (SSD). Anyway, it doesn't matter whether your laptop has an HDD or SSD, when it's almost full (e.g. 80% or more) your computer will slow down. Not sure why the disk is used up so quickly? It's time to check whether you've saved too many large photos and videos, maybe have installed dozens of third-party applications, or Windows 10 and web browsers you use (Edge, Chrome, Safari, etc.) have generated tons of useless junk files. How to clean it up? Well, it's natural for us to start manually checking the files and programs stored on the PC. But, that can be way too time intensive. A better and easier way is to use a tool for efficiency. CleanMyPC is the one worth trying out. It's one of the best PC cleaning software. Plus, it's incredibly easy to use. Simply download﻿ CleanMyPC and install it on your Lenovo, run a quick scan and it will show you what's eating up the valuable disk space and what files/programs are safe for removal. Laptop computers are like we human. We simply can't handle too many things at once. 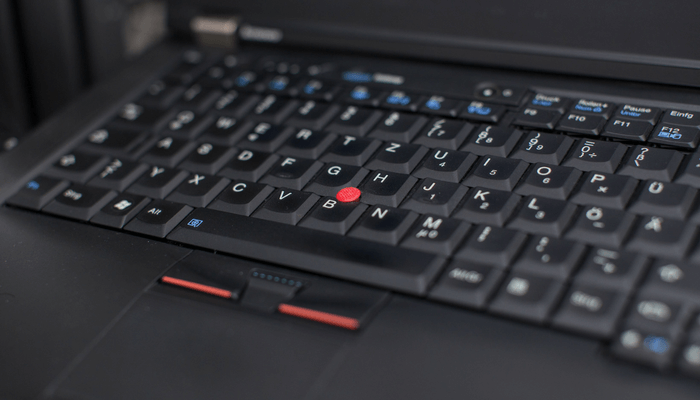 If your Lenovo is loaded with too many auto-startup programs, disable them. If you are used to opening several applications at once and you notice the laptop starts to freeze, time to close apps and be more focused (yep, focus = productivity). If your Lenovo runs slow while you're surfing the Internet, check if you have too many heavy web pages opened, especially those with sneaky flash/video ads. They tend to tax your system resources while displaying. How to know if you're multitasking or not? The place to go check it out is Task Manager (take Windows 10 for example, it's probably the operating system your Lenovo is running). If the CPU and memory are being used up, it's time to end those unnecessary tasks. If you use your Lenovo laptop mostly for photo editing, video making, 3D modeling, or other types of design work, consider adding more RAM (random-access memory). RAM upgrades can give you more power to handle the large software. You'll experience fewer system freezes or hangs. For RAM/memory upgrades, consider Crucial 8GB Single DDR4, Samsung 8GB DDR4, and Patriot Viper DDR4 8GB. On the other hand, SSDs are becoming more popular and affordable. Replacing the spinning HDD on your Lenovo with a new SSD is almost a guaranteed solution to increase the performance of your Lenovo. In addition, a laptop with an SSD will be quieter and more dynamic. Before you uncover your Lenovo laptop mainframe, we strongly recommend you ​watch related video tutorials as you can find many on YouTube. For example, this one shows you how to install an SSD to Thinkpad T460s, and this one is for IdeaPad Y700. Well, usually I'd be reluctant to say this but sometimes it's not your laptop's fault; Instead, it's us the users who don't know our laptops well. See, inarguably the Lenovo Ideapad 320 is a starter computer that's best for beginners who just need to do very basic work, e.g. web surfing, document creating, etc. But if you plan to use it for significant photo editing, video making, or high-end gaming, then it's no surprise the computer will run slow. So my point is: know the limits of your computer and don't expect it to over-deliver, especially on heavy tasks listed above. Use it wisely and treat it well. Though we haven't had a chance to use all Lenovo PCs, we believe the above tips will apply to all types of Lenovo computers including Yoga, ThinkPad, IdeaPad, Essential & desktops and all-in-ones as long as they have installed Windows operating systems. Anyway, would love to know what you think about the article. Leave your comments below. my daughter has a Lenova lapton and once you logon and click on any icon it freezes instantly and stays that way – then have to shut it down by holding down the power button. This has happend at the worst time due to her exams. How old is your daughter’s laptop? And when did the issue first happen? In my opinion, it could be a sign of hard drive failure, so make sure you’ve backed up the data just in case. Another possible reason is that you’ve got too many startup items, disable them in Task Manager. Hi Chris, how are you doing?. I’m facing a problem where the space,N,Z and B keys of my laptop don’t seem to function easily and quickly as expected.Sometime they do not work at all and I will have to carefully hit the back of my laptop before they function.Please what is the problem and can help me out with a solution? See the “solution” section and let us know how it works.